Jersey City, N.J. – The Pinnacle Corporation’s (Pinnacle) Director of Product Management, Melissa Fox Hadley will be honored later this year in the third annual Convenience Store News Top Women in Convenience awards program. The Top Women in Convenience program recognizes a diverse array of women in the convenience retail industry, including leaders, mentors and role models. Honorees are chosen based on nominations from their peers that illustrate a candidate’s innovative corporate initiatives, extraordinary financial and strategic accomplishments, astute problem-solving acumen, exceptional performance and selfless charitable participation, among other attributes that go above and beyond the call of duty. Hadley is being recognized in the senior-level leader category, comprised of retailers, suppliers and wholesaler executives who have executed strategy and transformed their business in a positive manner. 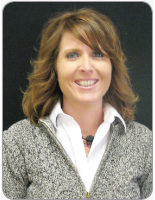 Hadley joined Pinnacle in 1996 and has contributed in multiple areas, including retail solutions product manager responsible for retail back office and home office solutions, along with foodservice inventory management, handheld, and workforce management. As the Director of Product Management, Hadley is responsible for strategic and tactical product management planning and execution for all solutions offered to the retail convenience store and petroleum market. 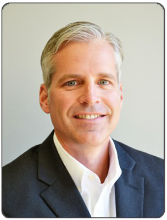 Client Spotlight – Mike Bailey, President and CEO of Bailey Enterprises, Inc.
DALLAS, TX – Congratulations to Michael “Mike” V. Bailey who was recently appointed chairman of The Petroleum Marketers Association of America (PMAA). PMAA is a federation of 47 state and regional trade associations representing approximately 8,000 independent petroleum marketers nationwide. DALLAS, TX – The first edition of Inside Perspective will be emailed in early May. Inside Perspective is Pinnacle’s new monthly newsletter aimed to keep you up to date on key developments within the industry, recent Pinnacle solutions’ enhancements, and upcoming events. This new, digital-only format newsletter does not replace the printed Perspective. We will continue to publish the more comprehensive Perspective publication during the Fall and Spring tradeshow seasons; look forward to the Inside Perspective augmenting that publication as a more frequent touchpoint. DALLAS, Tx – As pressure to flesh out mobile strategies heats up, retailers face the critical question of loyalty—more specifically, the degree to which they can or want to be involved. ​DALLAS,Tx. — Insights on leveraging inventory data and the use of newer retail technology such as Bluetooth “beacon” messaging to customers stood out for retailers attending last week’s Pinnacle Corp. users’ conference in Dallas.About 160 attendees listened to speakers addressing everything from fuel tracking to pricebook management during the three-day conference at the Dallas Sheraton Hotel downtown. DALLAS,Tx. — Insights on leveraging inventory data and the use of newer retail technology such as Bluetooth “beacon” messaging to customers stood out for retailers attending last week’s Pinnacle Corp. users’ conference in Dallas.About 160 attendees listened to speakers addressing everything from fuel tracking to pricebook management during the three-day conference at the Dallas Sheraton Hotel downtown. ARLINGTON,Tx. — After completing a review of new software tools for managing help-desk calls, software issues and enhancements, The Pinnacle Corp. recently announced the activation of a new Client Support Portal.A key feature in deciding on the right tool was to provide self-service access to clients. This portal enables clients to monitor the status of Help Desk calls, and it provides another method for clients to submit support requests. ​ALEXANDRIA,Va. — PCATS is pleased to recognize the Gold Level sponsors for its Annual Conference, taking place April 28-May 1 at the Loews Ventana Canyon Resort in Tucson, Arizona.For this year’s event, Anheuser-Busch, CHS, The Coca-Cola Company, NCR, The Pinnacle Corporation and VeriFone are supporting PCATS at the Gold Level. ARLINGTON, Texas — The Pinnacle Corp. has announced that its Palm POS register now supports a direct interface to the payment network for Commercial Fueling Network (CFN), a fleet management and fueling company.